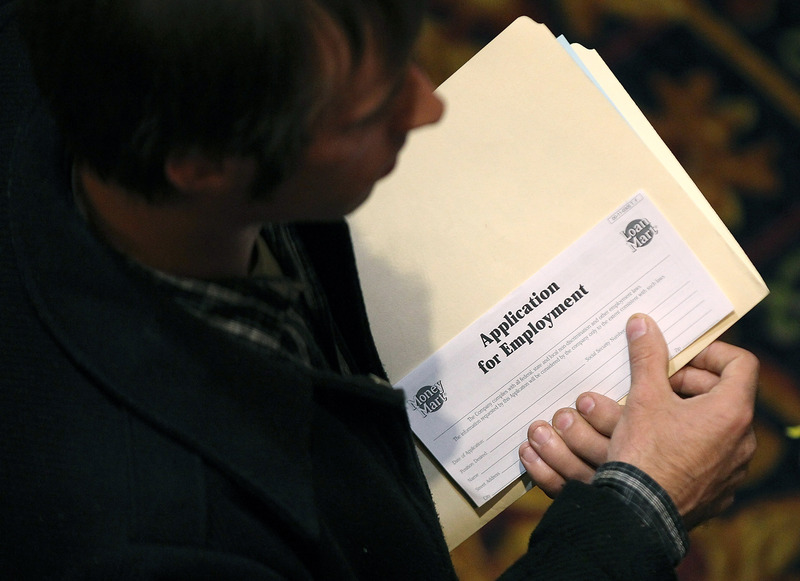 Jobs report shows weakness: Will policymakers respond? (MoneyWatch) COMMENTARY The Employment Report for March was weaker than many analysts expected. The unemployment rate fell slightly from 8.3 percent to 8.2 percent, and on the surface that seems like good news. But the 120,000 jobs created during the month is barely enough to keep up with population growth, the labor force participation rate actually fell from 63.9 percent to 63.8 percent, and the employment to population ratio also fell from 58.6 to 58.5 percent. Thus, the fall in unemployment mainly reflects fewer people searching for jobs rather than more people finding jobs. This is just one month's worth of data, and monthly data can be noisy so it's not time to panic yet. The recovery could pick up steam again next month. But the possibility that it won't pick up, e.g. because unseasonably good weather distorted the numbers for the last few months, has to be taken seriously by policymakers. Those in charge of monetary and fiscal policy must realize that forecasts have both upside and downside risks, and that doing too little if economic growth turns out to be slower than expected is far more costly than doing too much because economic growth exceeds projections. It's convenient for policymakers to foresee an optimistic future since it relieves them of the difficult decisions that must be made about providing further help to the economy. But since both monetary policy and fiscal policy take time to be effective -- if policymakers wait until it's certain policy is needed it's generally too late -- it's important that policymakers have reasonable forecasts about the future that weigh both the upside and downside risks. Today's report is an indication that the downside risks are larger than many policymakers and analysts believed, and policy needs to react accordingly. Fiscal policy ought to do more, infrastructure spending is an obvious way to do this, but gridlock and political differences in Congress all but rule that out. The only good news here is that the same problems will likely prevent Congress from agreeing to harsh austerity programs that could slow the recovery, or at least we should certainly hope that's the case. That leaves the Fed. Disagreement between the hawks and the doves on the committee has kept Fed policy on hold in recent months. Those who are worried about weakness in the economy and hence want more stimulus have not been able to get their way, and those who want to reverse policy out of fear of inflation have also been thwarted. Today's news helps the case for those who favor more stimulus, but it is unlikely to change policy. Even before today's report I was calling for more aggressive Fed policy both to help with the recovery and to insure against the downside risks. There are always bumps along the road to recovery and policy needs to recognize this. But what we are likely to hear in response to today's weak employment data is that we should "wait and see," that this is just one month's worth of data, and so on, and so on. The problem with this approach is that if we wait and see that the economy is much weaker than we thought, policymakers will be behind and the help they can provide will be too late to be fully effective. Today's news is a strong signal that policymakers need to insure against the possibility that the recovery is weaker than we thought, but the inflation hawks on the Fed -- the people who see inflation ahead even though there are no signs at all of an impending inflation problems -- are standing in the way.